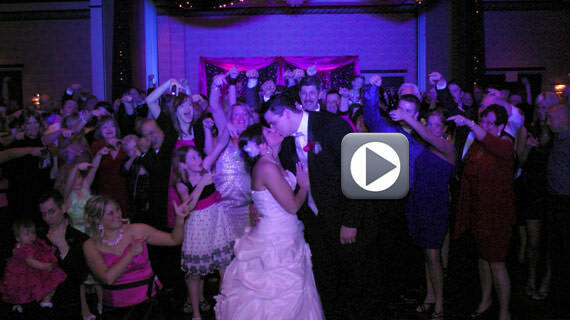 On Saturday April 21st 2012 we were at the Four Points Sheraton in Mars Pennsylvania. The event was a wedding reception for Andrew and Jamie Orlovsky. Andrew and Jamie were married at 3:00 pm in Conway, PA. Guests began arriving at the Four Points Sheraton at 5:30 pm where they enjoyed cocktails and appetizers. Jamie and Andrew did and absolutely amazing job decorating the ballroom at the Sheraton. Having performed at the Four Points Sheraton many times through the years, this was the best I have seen the room look.